Bacon and beans | Is Life a Recipe? Friends were coming to have some food at the pool – our neighbours The Rutherford’s, Paul and Lennie. I wanted to do some different dishes and this was one of them. My Bacon and Beans. Lennie is a top cook, so I always have to be top of my game re what I am preparing and cooking when she comes. Today I tried something different, and went more Western. Of course though I had a couple of chili padi in there, and then refer to it as fusion. You are just going to love this dish. It is full of favours, and this really did ‘turn some heads’. All loved Bacon and Beans, and boy is this ever easy to make. A good pinch of salt and black pepper. This really is so flipping easy to make my Bacon and Beans. Stir and serve. Come on, my 6 year old cook cook that. It went down a storm, and upon tasting it myself yes indeed I could see why. Complex flavours in this one. 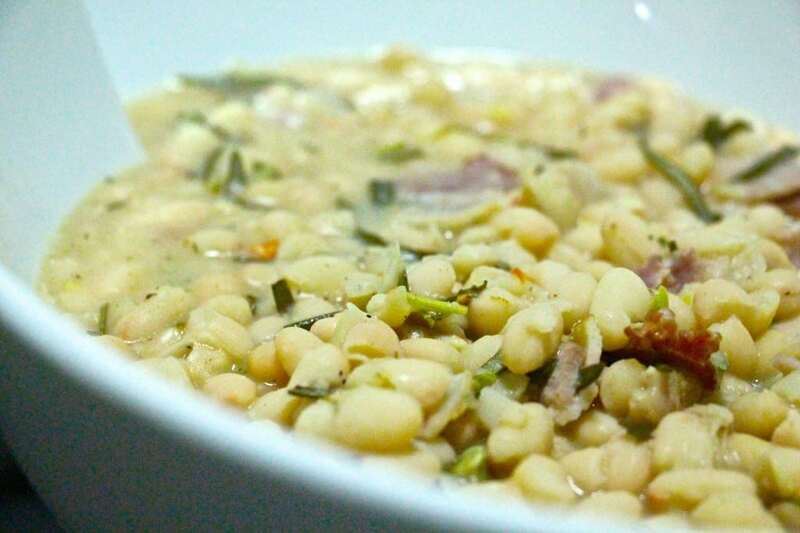 Bacon and Beans is seriously nice, really simple, but also looks damned good. Take the credit and kudos, and – ENJOY!!! No Replies to "Bacon and beans"